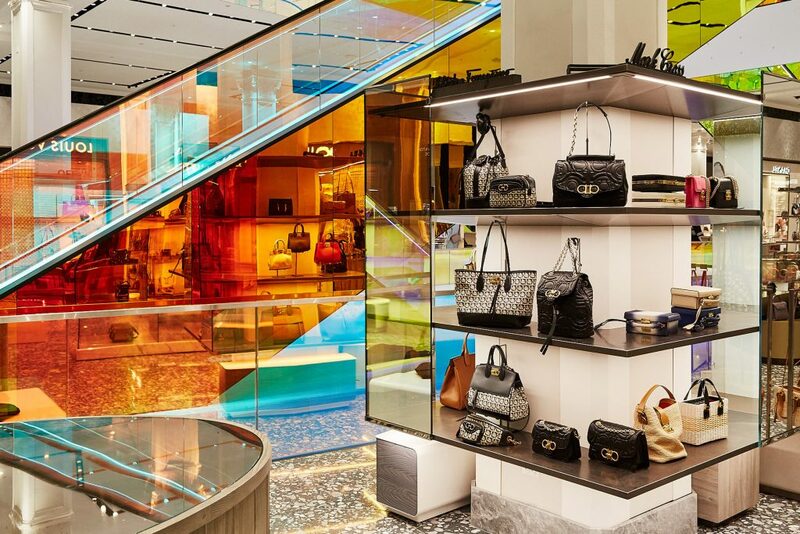 While the iridescent trend has already been popular for several seasons in the ready-to-wear world, as shown on our Instagram account, it is also gradually beginning to take over the design world. 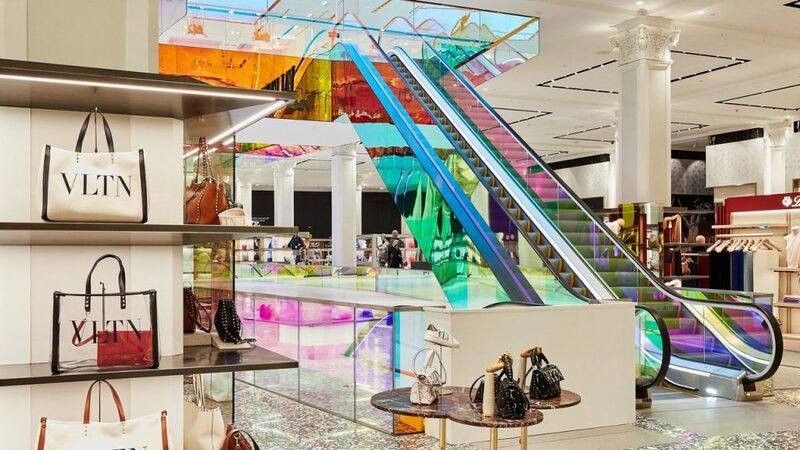 Looking as if it came straight out of a fairytale or science fiction film, the iridescent effect is inspiring designers to create furniture or decorative elements in atypical venues such as boutiques or museums. 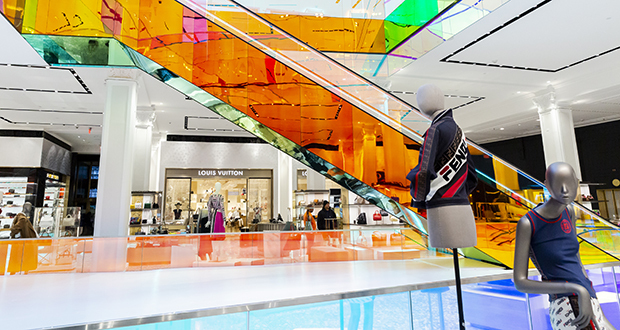 From a technical point of view, iridescence is achieved by using dichroic glass to obtain coloured reflections that change according to the light and angle of view. 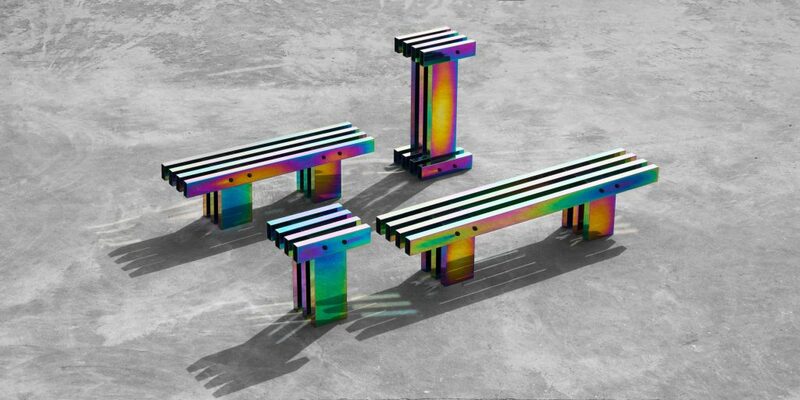 While the design world has been marked by creations such as the astonishing “Ombré Chairs” from designer German Ermics, presented during Milan Design Week in 2017, the trend now seems to have established itself. 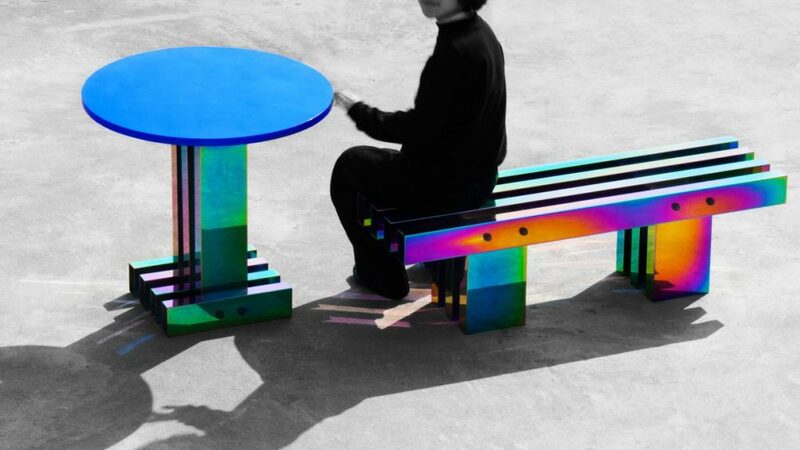 Presented this year at Design Shanghai, held from 6 to 9 March, the two collections from the Chinese design studio Buzao offered surprising and original colour gradations. 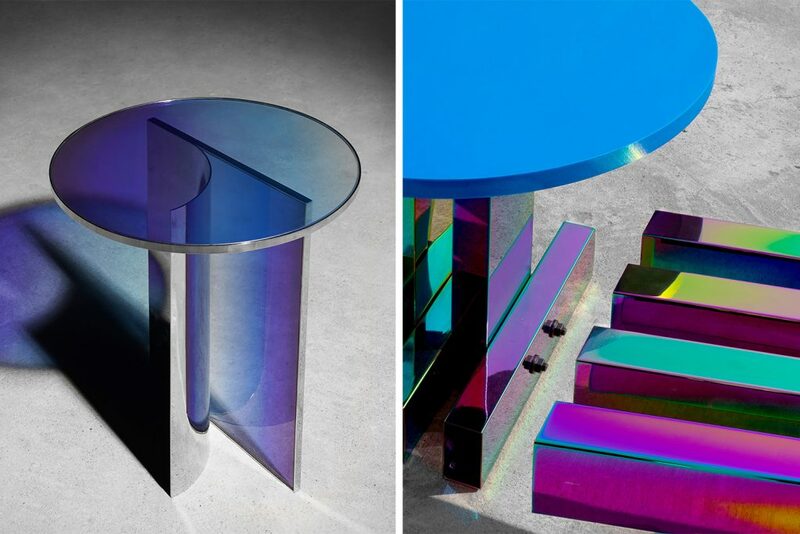 While the Null collection presents a series of furniture with blue reflections designed to evoke stability and calm, the Hot collection offers furniture in an iridescent and “violently psychedelic” colour palette. 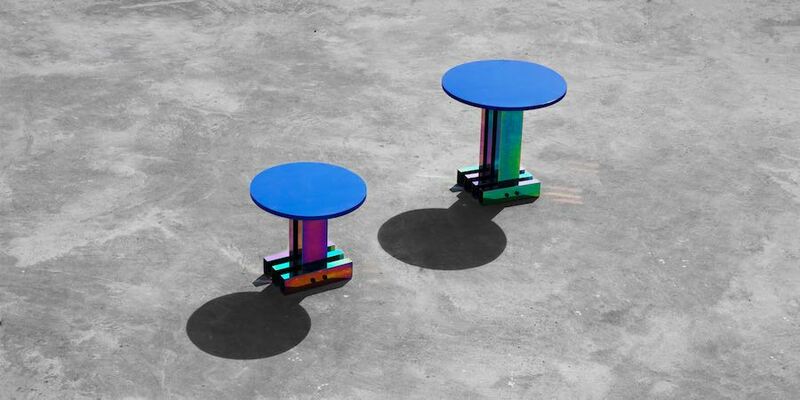 A coffee table, seat and lamp display changing colours that illuminate the decor with their dazzling shades. 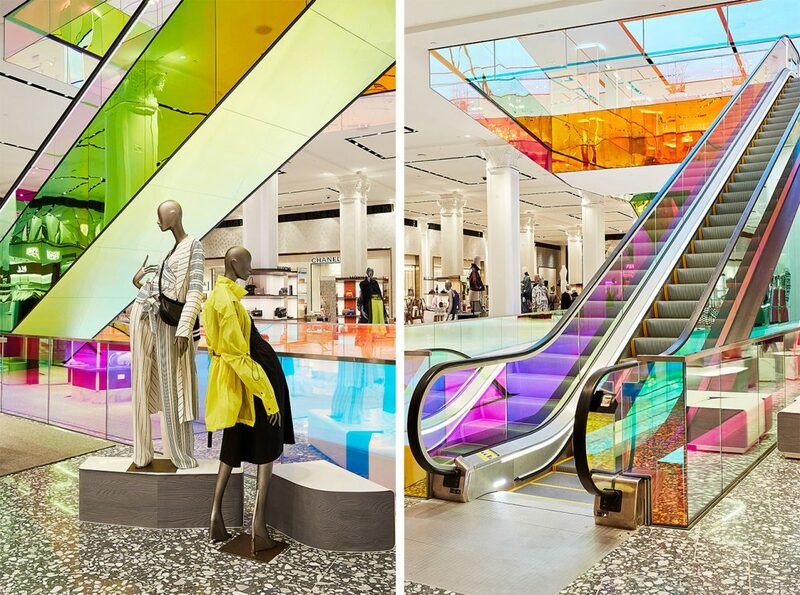 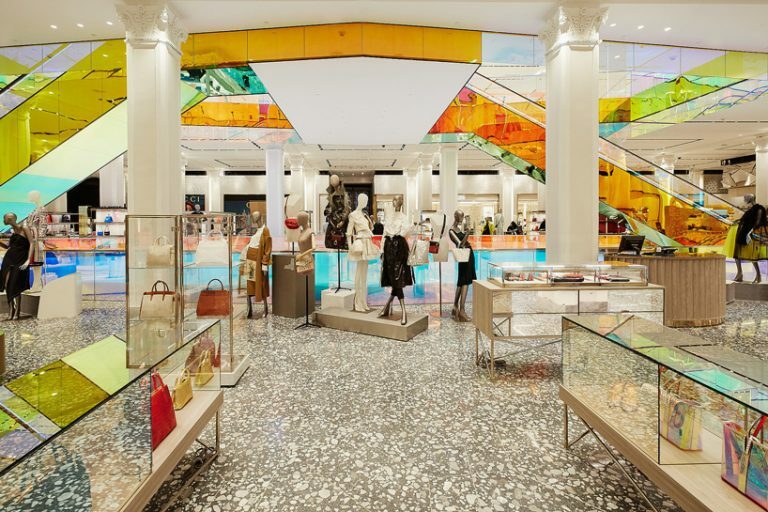 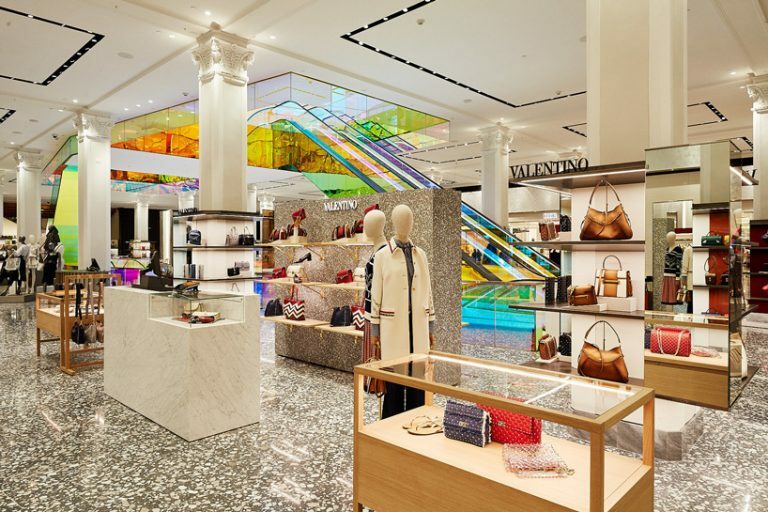 In another striking design, the architecture firm OMA has modernised the Saks Fifth Avenue department store in Manhattan with an iridescent glass escalator. 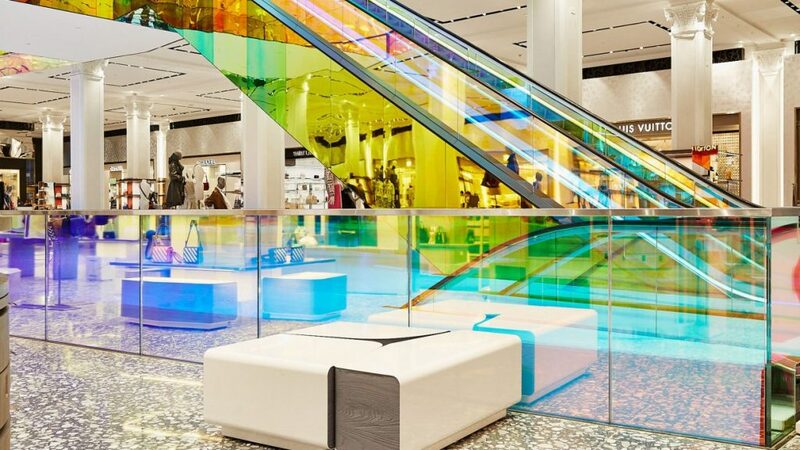 This new escalator adds a touch of colour to the rest of the relatively sober decor and invites customers to move from one floor to the next to admire the rainbow colour variations.